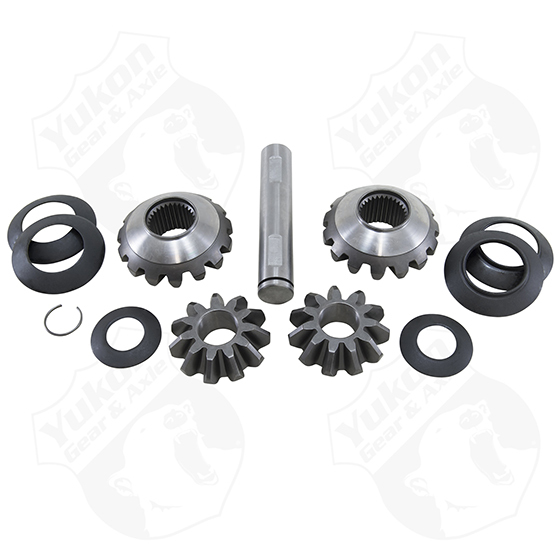 Includes two side gears, two pinion gears, cross pin shaft, roll pin and spider gear thrust washers. Technical Notes: 11.5" cases and spiders came in two different sizes, with large and small hub sizes on the side gears. Small hub diameter is 1.816" and came in '07 & down GM differentials. Large hub diameter is 2.060" and came in '08 & up GM differentials and all Dodge differentials. This is a universal spider gear kit with adapters to fit either design. The early cross pin shaft included in the kit works with snap ring design carrier only.